Photo snapshot: Happy anniversary to a great #SocialReporting team! Agriculture started at least 10,000 years ago, but no one knows for sure how old it is. Wheat and barley are some of the first crops people grew. People may have started farming because the weather and soil began to change and farming had a possibility that can feed many more people than gathering on the same amount of land. Many people live by doing what is called subsistence agriculture; on a small farm and mostly poor countries are following. This is good in the short term, but can be bad for the country and the surrounding environment over many years. However, in rich countries, farms are often much larger and intensive agriculture is mostly done. It uses pesticides, machinery, chemical fertilizers. Only farmers can grow the food and we all need to survive since agriculture is what powers our economies, the developing world’s single biggest employer and the agrifood sector will certainly grow in the foreseeable future for food, feed, fuel and fibers. According to Farming First, there will be an additional 1.7 billion mouths to feed by 2030 mainly in developing countries. To cope with this reality the world’s farmers need to double or even triple food production. However, farming policies have neglected the critical role which smallholders and women farmers must play in making sustainable development a reality. These rose questions with why development support for farmers plunged from 17 percent to 3 percent of global spend and why is farm productivity in the least developed countries (LCDs) is 10 percent of the developed world levels? Fear is a powerful marketing tool, especially when properly financed. But so is hope. In that spirit, we can support the farmer locally and globally to increase farm productivity. Farmers’, they grow our crops; manage our land and safe guard biodiversity for our future. Here are six ways that is for their future and ours. The plan builds on existing knowledge and it works like this. We are enormously rich in terms of biodiversity or natural resources. Report shows that farmers of Lekhnath village of Kaski district were managing more than sixty local landraces of important crops and medicinal plants for their livelihoods. Exchange of seed, based on co-operation and reciprocity, among the local farmers has been the basis of maintaining bio-diversity as well as food security. So we need more earth saving ideas like this since farmers are still the principal managers of plant genetic resources. Although indigenous knowledge is not based on scientific facts, they are formulated on the basis of past observations and experience and have proven to be closely matched with scientific reality as indigenous measures do enable adaptation to harsh environment in many cases. In these days, tharu farmers in the Terai of Nepal are replacing rice crops with sugarcane and till to cope with uncertain rainfall which practices are helpful to promote the concept of food security. Thus we need to share more ideas and information like such, since indigenous knowledge, traditional practices and local resources including soil, water, genetic material, and skills can be used in research and technology development in sustainable way. Although the road network has expanded significantly, many roads are of poor quality and are impassable during the rainy season. Thus access to roads infrastructure has major implications for food security, because while most of the surplus production takes place in Terai, the majority of households in the rest of Nepal are net buyers of cereals. One-fourth of the country’s area is still more than a four-hour walk from a road head. Similarly only less than 10 percent population in rural areas has access to electricity and they use it mostly for lights. Less than 40 percent of cultivable land is irrigated (only 17 percent year-round), while there is potential to reach two-thirds; thus overall factors limiting crop productivity. So we need more and better infrastructure to increase our agricultural productivity. In Nepal, losses in horticultural produce vary between 15 and 35 percent and in food grains up to 9 percent at the different stages along the chain from harvesting to marketing. Normally storage loss is 15 to 30 percent ranging with storage techniques. However, there are significant opportunities to move smallholder farmers from subsistence to commercial agriculture through the support of improved post-harvest technology and value chain development. So we need better facilities and better techniques to preserve what farmers grow. In fact, these are helpful for contributing to food security through decreasing post-harvest loss. There have been improvements in agricultural infrastructures in the recent years. The information and communication technology (ICT) sector is booming propelled by the rapidly growing usage of mobile phone and internet services. Mobile phones can help in agriculture and rural development by providing information to farmers about market demand and supply, about market opportunities and much more. Radios, televisions, printed media, websites/ social media are also working for price information by improving market information transparent and fair. 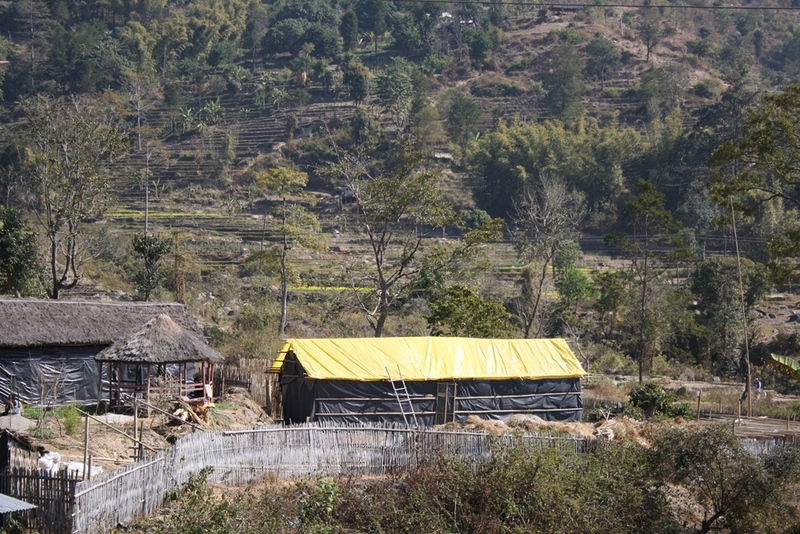 In developing countries including Nepal, agriculture development is still considered the public sector responsibilities. However, to make Nepalese agriculture competitive there is a need to substantially increase investment on agriculture in general and research in particular to meet the present challenges of agriculture research for development so that research, extension, and teaching should work hands in hands. Moreover it needs to enhance a favorable environment for a broad and pluralistic participation and resource co-ordination amongst all potential service providers and beneficiaries in partnership to adapt and modify technologies to best meet its farmer’s requirement. So we need more public and private research to work hand in hand for farmers. To come up with conclusion, these 6 actions can help preserve vital resources, can help feed growing population and can help confront global warming. At their center is farming, we should proud with farming and share our supports to the farmers. By catalyzing action on climate change prior to the UNFCCC Climate Change Conference in 2015, the Secretary-General intends to build a solid foundation on which to anchor successful negotiations and sustained progress on the road to reducing emissions and strengthening adaptation strategies.